Another great post by Cuban giving food for thought (and I now some researchers I know will like it for sure). 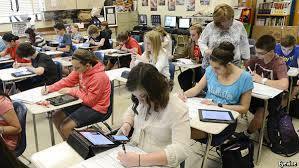 Do photos of classrooms and the arrangement of furniture give observers a glimpse of how teachers teach? Yes, they do but only a hint. Here is my reasoning. 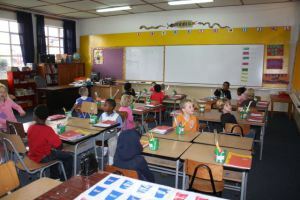 Furniture arrangement is seldom mandated by a school board, superintendent, or principal. The teacher decides how to use classroom space. 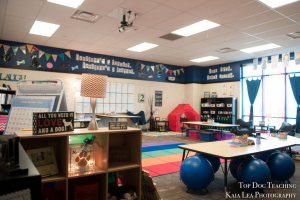 Furniture placement, consciously or not, expresses the teacher’s views of how best to teach, maintain order, and how students learn. Thus, an observer gets a clue to whether teacher-centered and student-centered instruction (including mixes of both)* will prevail. 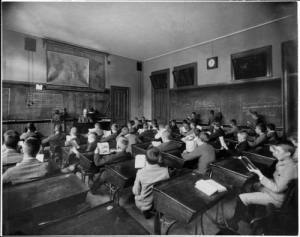 When all students face the teacher’s desk or teacher at the blackboard (now whiteboard or “smart board”) where directions, daily homework, textbook readings and quizzes are registered, whole group instruction is encouraged including class discussions (recitation was the word used in the early 20th century). 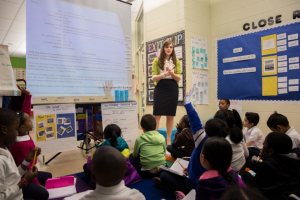 Teacher-talk gains higher priority and legitimacy than exchanges between and among students.